Cystic Mesothelioma is a rare and benign form of mesothelioma cancer develops on the peritoneum. Cystic mesothelioma is a type of peritoneal mesothelioma that affects mainly young females. When cystic mesothelioma occurs, cysts are lined with a layer of benign mesothelial cells. 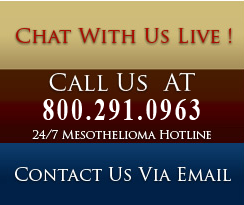 Since cystic mesothelioma is a benign form of mesothelioma, normal life expectancy occurs. In some instances, though, cystic mesothelioma will require some treatment depending on the pain or symptoms experienced. Cystic mesothelioma is rare and tough to diagnose due to the complicated procedures that must be performed prior to confirming if cystic mesothelioma is present. Electron microscopy and immunohistochemical studies must first occur before cystic mesothelioma is found. Partial excision or decompression can be used to relieve any pain or symptomatic problems associated to cystic mesothelioma. The diagnosis presents difficulties and requires extensive laboratory analysis and immunohistochemical studies. Normal life expectancy is usual. The peritoneum is the thin membrane that lines the abdominal wall and surrounds the organs of the abdomen. This mesothelioma produces cysts within the abdominal cavity. Surgery to remove the cysts usually is effective in treating the symptoms. However, patients experience a high recurrence of cyst development. Although not cancer, this form of is a serious illness requiring long term monitoring and treatment. In some cases treatment may be given to relieve pain. Young women are the population most often diagnosed with the disease.